Direct student experience with physics as an experimental science is rare in introductory college courses. The accompanying labs are often peripheral to the course (little credit, little involvement); and have set-piece experiments, sometimes with computers, that give students very little more feeling of how things really work than lecture demos or homework problems (valuable as these are). At MIT, starting in 1988, John King, Phylis and Philip Morrison, Tony French, and Peter Dourmashkin developed and taught two courses, Mechanics (8.01X) and Electricity & Magnetism (8.02X), in which experiments were central. For a 12-week course there are 8 to 10 experiments that are issued in kit form to student partnerships of two, along with instruments, all in two "Red Boxes" (small plastic toolboxes). Each student purchases (at cost) a tool kit with soldering iron, pliers, wire cutters and strippers, screw drivers, etc. The partners meet to assemble and run the experiments in their living quarters, take and analyze data, and turn in their notebooks for comment; thus the experiments are part of homework, which also has a reduced number of conventional problems. Note that the mechanics experiments involve electrical construction and measuring techniques, no more mysterious than a stopwatch or PC. But here a digital multi-meter is taken as an instrument to use; in the E&M experiments analog meters are not only used but also understood-students learn all about how they work. Courses similar to these have been presented at Caltech, Harvard, and Ecole des Mines. All necessary materials can be found at local hardware and electronic supply store, or from KT Associates (207.442.9064, benkt@gwi.net), which supplies MIT. Besides the course syllabi and notes, and instructions for 12 basic constructions and experiments (Dourmashkin and King), there is a complete collection of 50 experiments (King, J. G., and A. P. French. Physics 8.01X and 8.02X Experiment Instructions. MIT Physics Department, 1998) that have been used at various times. Finally, there was a published book, ZAP!, designed to be used in conjunction with a version of these introductory physics courses taught at Caltech. Although out of print, the earlier (longer) version of ZAP! is still available from KT Associates (207.442.9064, benkt@gwi.net): King, J. G., and Philip and Phylis Morrison. ZAP! A Hands-on Introduction to Electricity and Magnetism. Preliminary ed. MIT Physics Department, 1991. ISBN: 0892784148. Young and Freedman. University Physics with Modern Physics. 11th ed. San Francisco, CA: Pearson/Addison Wesley, 2003. ISBN: 9780805387681. There will be a total of 4 quizzes. They will be closed book, and calculators will not be necessary. Quizzes will typically include at least one question on the experiments and one question on lecture demos. Quizzes will account for 60% of the final grade. There is no final exam. There will be twelve written homework's (problem sets). Late homework's will not receive credit. The take home experiments are a crucial part of the 8.02X experience. Each partnership of two students will build and use 9 experiments. All experiments need to be demonstrated and checked off during lab hours. Experiment related questions will be asked at check-off and will be included on the problem sets, as well as in the quizzes. Early check-off of the experiments will be awarded bonus points. The detailed check-off and grading policy will be announced in class. A book with experiment information and instructions will be provided. Registered students will be given access to Mastering Physics, an on-line tutorial and homework system. There will be a total of 10 Cybertutor assignments. Note: OCW Users will not be able to access this material. 2 Electric Charge and E.S. Induction Problem set 1 with meter introduction experiment out. 4 Electric Field Problem set 2 with low voltage power supply out. 5 Electric Field and Polarization Problem set 1 with meter introduction experiment due. 7 E-Field: Work, Energy, Potential (1/2) Problem set 3 with high voltage power supply experiment out. Evening Review Problem set 2 with low voltage power supply due. 9 E-Field: Work, Energy, Potential (2/2) Problem set 4 out. 10 Conductors and Insulators Problem set 3 due. 12 Capacitance (2/2), E-Fields in Matter Problem set 5 with electrostatic force experiment out. 13 E.S. Force Experiment Problem set 4 with high voltage power supply experiment due. 15 Electric Circuits Problem set 6 with voltage and current experiment out. Evening Review Problem set 5 with electrostatic force experiment due. 17 RC Circuits Problem set 7 with electric breakdown experiment out. 18 Ionization, Electrical Breakdown Experiment Problem set 6 with voltage and current experiment due. 20 Magnetic Field Sources; Biot-Savart's Law Problem set 8 with magnetic force experiment out. 21 Magnetic Field - Ampere's Law Problem set 7 due. 23 Magnetic Induction - Faraday's Law Problem set 9 out. Evening Review Problem set 8 with magnetic force experiment due. 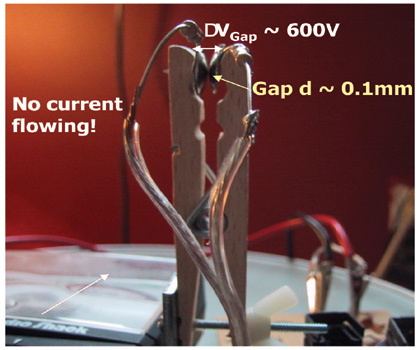 25 Magnetic Induction - Lenz's Law, Eddy Currents Problem set 10 with amplifier experiment out. 26 Inductance Problem set 9 due. 27 AC Circuits Problem set 11 with microwave experiment out. 28 RL Circuits Problem set 10 due. 31 Electromagnetic Waves Problem set 12 out. Problem set 11 with amplifier experiment due. 33 Polarization-Microwave Experiment Problem set 12 due. 35 Interference, Diffraction, Scattering (2/2) Microwave experiment due.